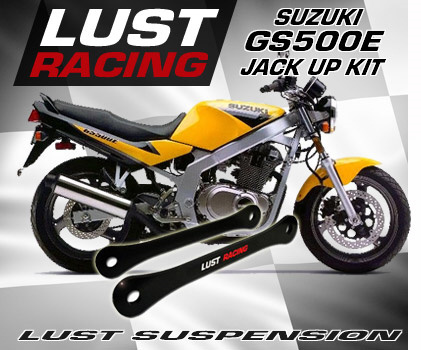 Rear suspension jack up kits for Suzuki GS500E motorcycles. Lust Racing suspension links are made of durable steel with supreme accuracy using high tech manufacturing methods. Each kit comes complete with installation instructions.